Now that we have MIPS protection, it’s hard to remember a time when this level of helmet technology didn’t exist. 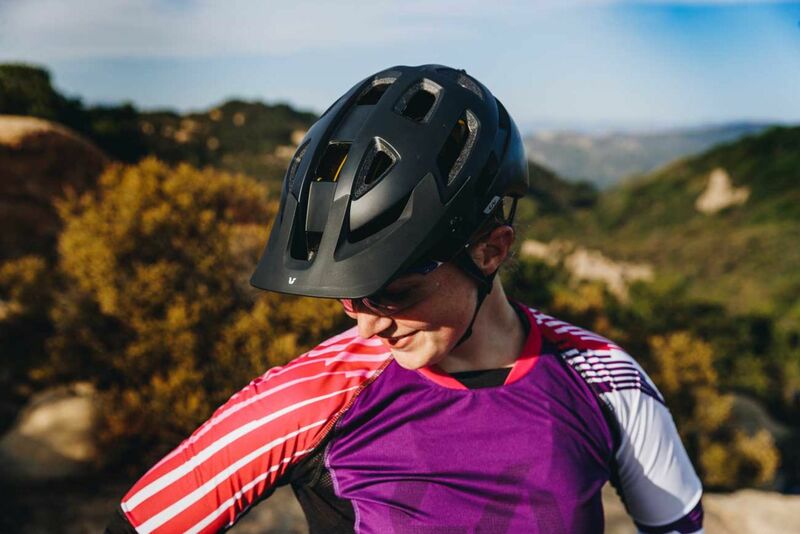 Extra brain protection is simply a no brainer, so along with MIPS we’ve added a lower rear coverage design to shield more of the back of the head. 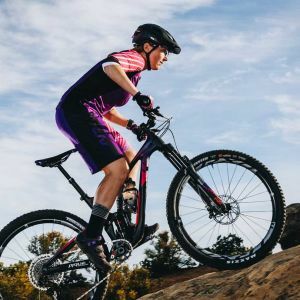 Infinita SX is safe, but it’s also styling with all the latest features like the infinitely adjustable and removable moto-style visor, an integrated goggle strap to keep your eyewear steady on descents, and GoPro mounts on the front and top. Whether you’re slowly cruising or quickly charging, the Direct Flow Cooling channels are specially designed to pull in air at both high and low speeds to cool your head. Combining CINCH One Pro with a full 360° belt allows you the snug sizing and height adjustment to create your perfect fit. Cozy, featherweight LiteForm™ webbing also adds head-hugging comfort that allows your head to move naturally while it is protected. Wherever the trail takes you, you’re ready with the Infinita SX. 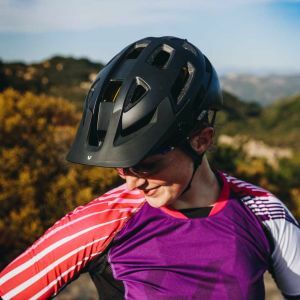 Inspired by our gravity off-road riders and presenting a modern mountain biking style, this off-road helmet is designed with generous ventilation, added protection and simple securing system. 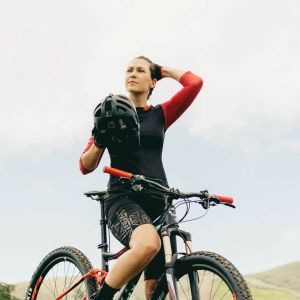 Complete with a goggle strap, new camera mount and a great fit, so you’ll have everything you need to conquer enduro or all-mountain terrain in winning fashion. 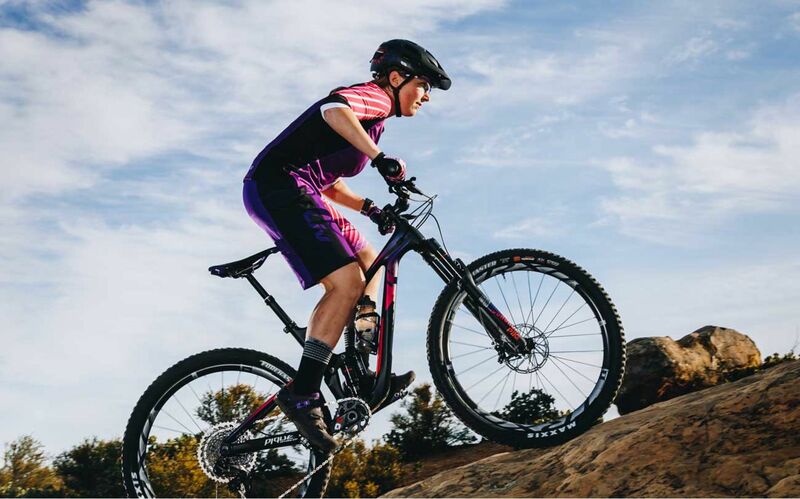 Purpose-built for aggressive trail and enduro riding, Infinita SX features an entirely new shape with extended side, front and rear coverage to provide more confidence and protection on technical terrain. A total of 20 vents, known as AeroVent exhaust ports, are strategically designed and positioned for off-road performance. The size and shape of the vents help guide airflow through interior channels to maximize ventilation at low and high speeds for better cooling on climbs or descents. This fit system offers optimal coverage by cradling the occipital bone for full protection, support and comfort. An integrated clip on the back of the helmet keeps goggle straps securely in place. Attach a GoPro curved stick-on mount for optimal POV positioning of your camera, or mount a headlight for line-of-sight visibility during your night rides. The MIPS Brain Protection System is designed to add protection by managing the forces of rotational motion on the brain. The shell and liner are separated by a Low Friction Layer that, when subjected to an angled impact, allows the helmet to slide relative to the head.